While working in the emergency room, Dr. Brian Bearie realized that perhaps 80 percent of ER activities could be done more efficiently, affordably and with a better patient experience in an urgent care setting. So he founded Yucaipa Urgent Care Center, a six-location provider organization headquartered in Yucaipa, California. It was important to choose technology that would serve the unique needs of the urgent care business, as the wrong EHR could result in time-consuming delays, decreased patient volumes and poor patient satisfaction, he added. To stay competitive in the increasingly popular and competitive on-demand healthcare space and to best serve the needs of the evolved consumer patient, Yucaipa Urgent Care needed a purpose-built platform designed to serve its needs, he said. Yucaipa Urgent Care did its due diligence in researching and exploring all of its options. In the end, it chose to implement DocuTAP at its first urgent care clinic. “DocuTAP was the only company that said they were built for urgent care clinics, which helped seal the deal in going with them,” Bearie said. “The company understood that one size doesn’t fit all when it came to EHRs and the other services we needed and because of that, they could make our jobs much easier. The vendor’s technology was built to serve the unique needs of the urgent care industry and offers opportunities to tailor and customize their systems to not only serve the industry but meet the specific needs and functions of a particular practice. Urgent care-specific EHRs represent just a sliver of the overall EHR market. In addition to DocuTAP, vendors that offer urgent care-specific EHRs and related systems include CureMD, DrChrono, Practice Velocity and PulseCheck. Implementing DocuTAP’s suite of systems has significantly streamlined and improved Yucaipa’s entire workflow from the front desk to the billing department, Bearie said. Yucaipa Urgent Care staff often work both at the independently owned sites that use DocuTAP and the hospital-associated sites that do not, which has garnered plenty of internal feedback. 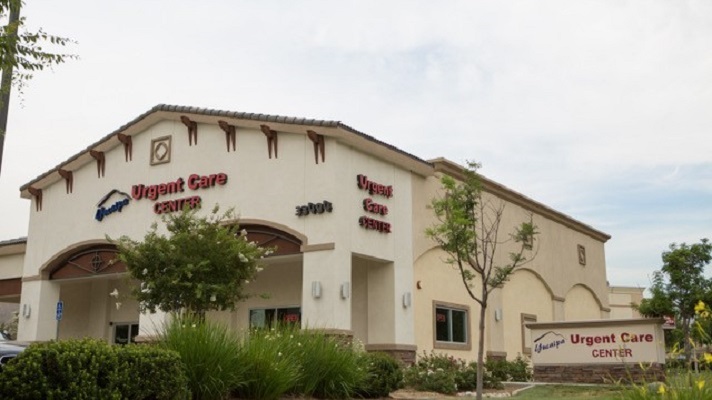 Since the initial location opened, Yucaipa Urgent Care has continued using DocuTAP as the software and services provider for its additional five urgent care locations. Additionally, it implemented Clockwise.MD by DocuTAP in those locations to better engage all patients. Using DocuTAP’s suite of systems including Clockwise.MD patient engagement technology, Yucaipa Urgent Care has been able to reduce patient door-to-door throughput time to 30-45 minutes, where it used to average two hours from check-in to checkout. And after the visit, staff can follow up with patients using automated Clockwise survey options to measure patient satisfaction. This has helped ensure patients are happy when they leave Yucaipa, further helping ensure patients come back to the facility again, he added. Since using the new technology, about 50 percent of Yucaipa patients have acknowledged their appointments have improved now that physicians chart in real time using the EHR on an iPad. He reported. Nowhere is this truer than in the urgent care space, he added. By choosing purpose-built technology that was created to serve the urgent care industry, Yucaipa Urgent Care has significantly improved its business, he said.